User can also create custom reports on the fly. To create a custom report, user should navigate to section User Reports. In this section, user has the ability to create, modify, rename and delete user reports. All the existing reports are located on the left side of the view. Each report has rename and delete icon right next to its icon. To delete existing report, click on the red cross icon next to the report. To delete existing report, click on the pen icon next to the report. 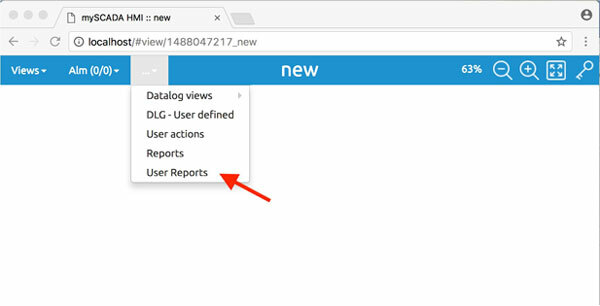 To create a new report, select a New.mrt report from the left and then click on Design button. Report designer will open. Now end user can create custom reports exactly same way as done in myDESIGNER.